The best gifts at Christmastime lie within our special relationships. With a festive bow upon her head, this yuletide kitty is eager to spend some quality time with a purr-fect friend. 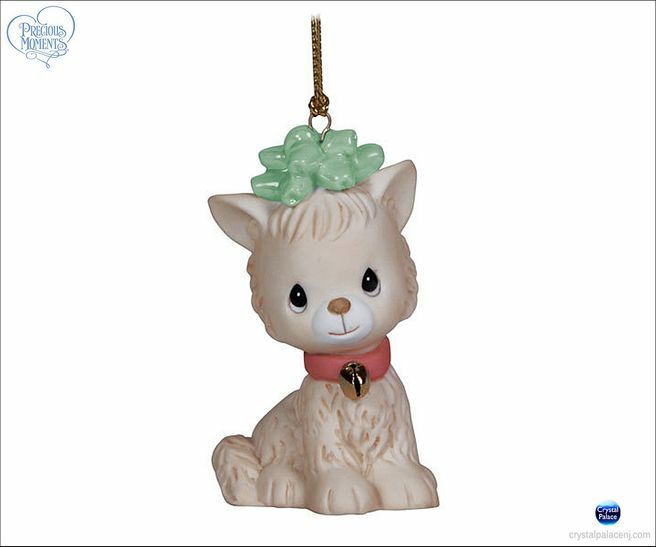 This hanging ornament is lovely on any cat-lover's tree. Bisque porcelain. 2 3/4” H.